There’s a reason so many people hold negative stereotypes that the NFL is full of criminals and the NBA is full of stupidly-spending rich guys on the verge of going broke: It’s because the media isn’t interested in showing the other side of athletes. Reports of NFL players getting arrested and NBA players buying lavish trinkets will make the cut on “SportsCenter” seven days a week, while the media conveniently ignores the stories about athletes doing positive work in the community and using their money for good causes. 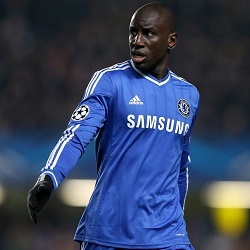 Demba Ba, French Muslim striker for Chelsea of the English Premier League, did something recently that should be considered newsworthy, but won’t make as many headlines as if he’d been pulled over for driving under the influence or dropped five figures at a blackjack table in Macau. On his way to helping Chelsea to a third-place finish in the Premier League this season, Ba provided the funds to build a mosque in Doondu, Senegal, which is set for its grand opening in a few weeks. Ba’s family is Senegalese. The country is about 90 percent Muslim.